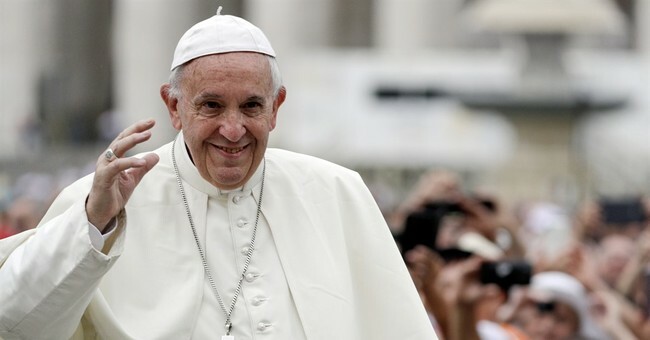 Pope Francis has taken a stand against euthanasia, ordering the Brothers of Charity in Belgium this week to stop the practice by the end of August. The charity, which runs 15 different psychiatric hospitals, announced their decision allowing their doctors to practice euthanasia in May, according to Abc News. The brothers formalized the decision weeks after Belgian bishops came to an agreement that euthanasia would not be allowed in Catholic-run institutions. Brother Dr. Rene Stockman, writing the Pope’s request in two letters, said that it is “disloyal, outrageous and unacceptable.” Stockman is a psychiatric nursing specialist, and the superior general of the congregation of the Brothers of Charity. Belgium is one of the only countries that has legalized killing of the mentally ill. According to Abc, psychiatric-related euthanasia has tripled in 10 years, as 3 percent of euthanasia cases. In the Netherlands--where it is also legal--euthanasia is now the cause of 4.5 percent of deaths. Stockman said to Catholic News Service that, “...we will take juridical steps in order to force them to amend the text (of the new policy) and, if that is not possible, then we have to start the procedure to exclude the hospitals from the Brothers of Charity family and take away their Catholic identity,” if the charity would not change its policy. Spokesman for the charity Mattias De Vriendt, said “We will take our time in the next few weeks to evaluate these letters,” having not made a final decision.